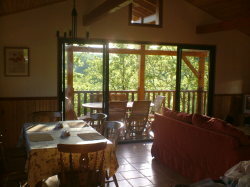 If you are looking for a relaxing holiday in beautiful countryside then this is for you. 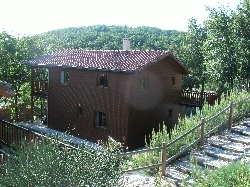 This new spacious 3 bedroom detached lodge offers the following accommodation on 2 floors. 3 double bedrooms, en suite to master bedroom, separate family bathroom and separate cloakroom, very large lounge with woodburning fire an luxury fully fitted kitchen, a real home from home. 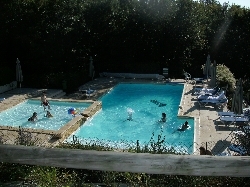 There's a lovely swimming pool next door but one and another small pool even closer. 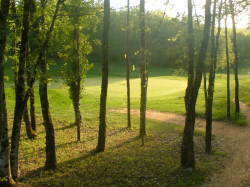 Being located on the Souillac Country Club there are lots of things to do, including playing the superb 18 hole golf course. If you don't feel like cooking the on site restaurant is excellent and very reasonably priced. 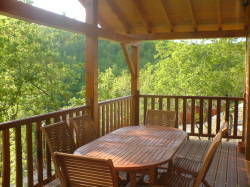 Our favourite part is the beautiful covered veranda with superb views over the surrounding countryside. Ideal for those balmy evenings with a bottle of wine and some French cheese. 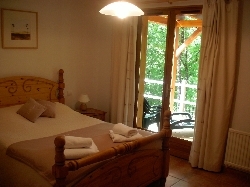 There's lots to see nearby, with the Dordogne River running through Souillac and lots of very pretty villages including La Roque Gageac, Rocamadour, Sarlat, Domme and many more. You can visit the prehistoric site of Les Eyzles-de-Tayac and see the cave paintings at Lascaux II and the fantastic boat trip through the Padirac Chasm. All in all a really beautiful property in a superb location (we liked it so much we bought the house!) 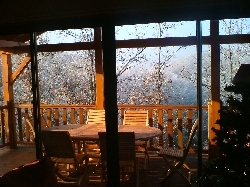 But don't take our word for it, have a look at the Souillac Country Club website www.souillaccountryclub.com (our property is a Rocamadour type) then come back and book one of the best deluxe properties there for the cost of a standard rental. 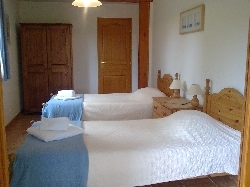 NOTE - SOUILLAC COUNTRY CLUB REQUIRE A SERVICE CHARGE OF 125 EUROS FOR BED LINEN, TOWELS, WELCOME PACK AND CLEANING. Guests benefit from a 20% discount on green fees.